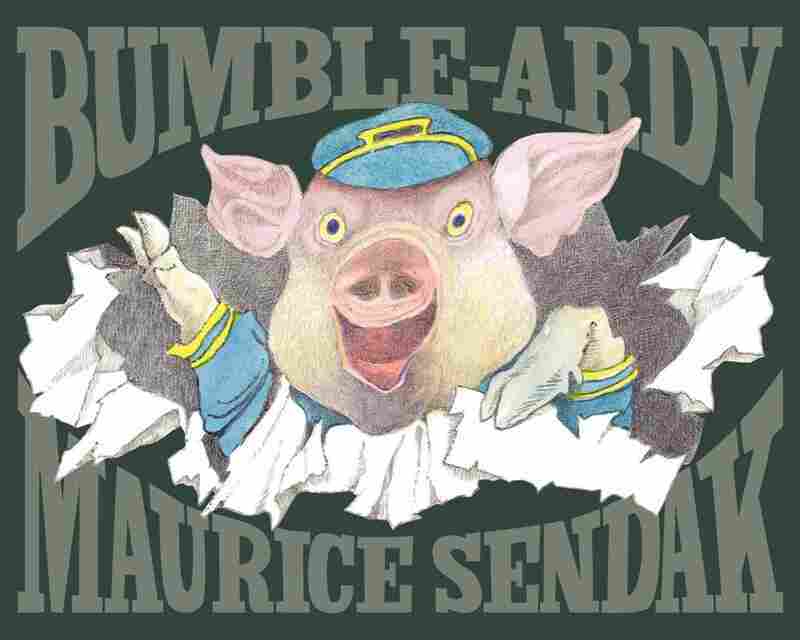 Maurice Sendak: On Life, Death And Children's Lit His latest book Bumble-ardy is a deeply imaginative tale about an orphaned pig who longs for a birthday party. 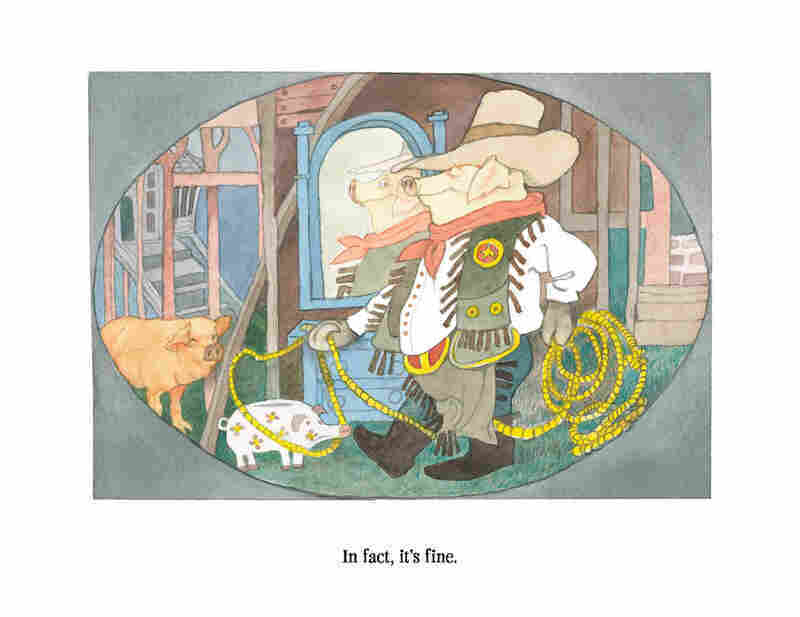 Sendak, who is 83, wrote and illustrated the book while caring for his longtime partner, who died of cancer in 2007. "I did Bumble-ardy to save myself," Sendak says. "I did not want to die with him." Playwright Tony Kushner once called Maurice Sendak, creator of Where the Wild Things Are, "one of the most important, if not the most important, writers and artists to ever work in children's literature. In fact, he's a significant writer and artist in literature. Period." 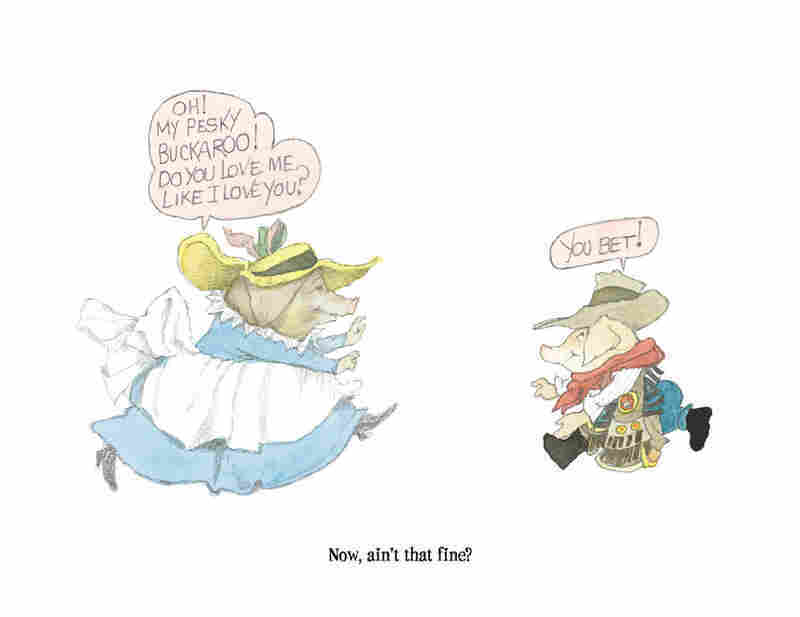 Bumble-Ardy, Sendak's first children's book in 30 years, is based on an concept he developed in the early 1970s, while working on a Sesame Street animated short with Jim Henson. The short cartoon was about a boy who invites nine pigs over for his birthday party while his mother is at work. In the book, Sendak changed the story. Bumble-Ardy is now an orphaned pig who has his first birthday party when he turns 9. 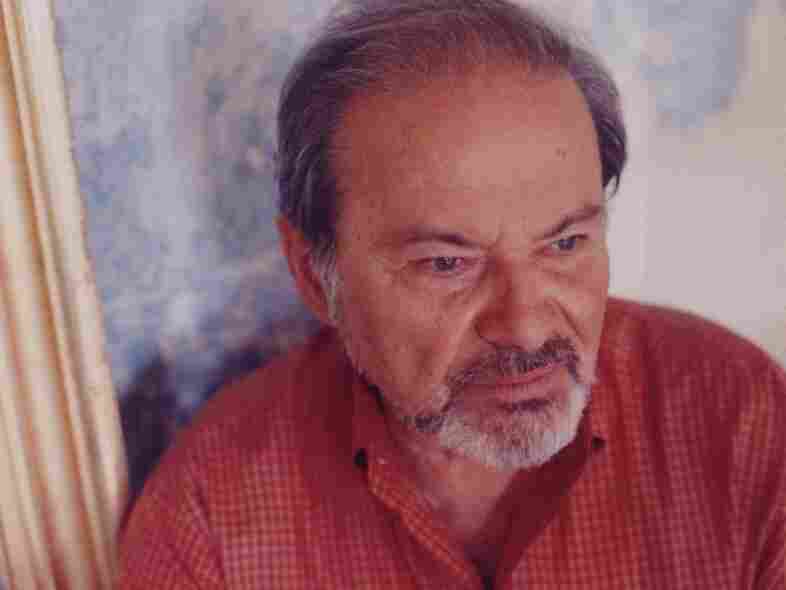 Sendak worked on the book while taking care of his longtime partner, the psychiatrist and art critic Eugene Glynn. Glynn died in 2007 of lung cancer. He says any books he works on now will be for his own enjoyment. "If it's publishable, fine. If not, it makes not too much difference," he says, "because I claim that this time is for me and me alone. I'm 83 years old." This week on Fresh Air, we're marking the year's end by revisiting some of the most memorable conversations we've had in 2011. This interview was originally broadcast on September 20, 2011. Bumble-ardy, the latest from author and illustrator Maurice Sendak, is dark and deeply imaginative, much like his classic works Where the Wild Things Are and In The Night Kitchen. Bumble-ardy is an orphaned pig, who has reached the age of 9 without ever having a birthday party. He tells his Aunt Adeline that he would like to have a party for his ninth birthday, so Aunt Adeline plans a quiet birthday dinner for two. But Bumble-ardy instead decides to throw a large costume party for himself after his aunt leaves for work — and mayhem ensues. When his aunt returns she says, "Okay smarty, you've had your party but never again." Bumble-ardy replies, "I promise, I swear, I won't ever turn 10." Sendak tells Fresh Air's Terry Gross that those two lines — his favorite in the book — sum up his life and his work. "Those two lines are essential. 'I'll never be 10' touches me deeply but I won't pretend that I know exactly what it means," says Sendak. "When I thought of it, I was so happy I thought of it. It came to me, which is what the creative act is all about. Things come to you without you necessarily knowing what they mean. ... It comes at a time when I am getting ripe, getting old — and I want to do work that resonates." Sendak says that he worked on Bumble-ardy while taking care of his longtime partner, Eugene Glynn, who died of lung cancer in 2007. "When I did Bumble-ardy, I was so intensely aware of death," he says. "Eugene, my friend and partner, was dying here in the house when I did Bumble-ardy. I did Bumble-ardy to save myself. I did not want to die with him. I wanted to live as any human being does. But there's no question that the book was affected by what was going on here in the house. ... Bumble-ardy was a combination of the deepest pain and the wondrous feeling of coming into my own. And it took a long time. It took a very long time." Maurice Sendak has written and/or illustrated more than 100 books during his career. He has received a National Book Award, a Caldecott Medal, the Hans Christian Andersen Award for children's book illustration, and the National Medal of Arts. "I feel like I'm working for myself at this point. If it's publishable, fine. If not, it makes not too much difference. Because I claim that this time is for me and me alone. I'm 83 years old." "I'm writing a poem right now about a nose. I've always wanted to write a poem about a nose. But it's a ludicrous subject. That's why, when I was younger, I was afraid of [writing] something that didn't make a lot of sense. But now I'm not. I have nothing to worry about. It doesn't matter." "I would infinitely prefer a daughter. If I had a son, I would leave him at the A&P or some other big advertising place where somebody who needs a kid would find him and he would be all right. ... A daughter would be drawn to me. A daughter would want to help me. Girls are infinitely more complicated than boys and women more than men. And there's no doubt about that. We just don't like to think about it. Certainly the men don't like to think about it. I have lived my whole life with a dream daughter." "It just seemed like, why? It just seemed inauthentic and incorrect to burden him with that. My therapy went on forever. My being gay was something of not great interest to me. The person I lived with — we lived together for all of those years so we make trips to our favorite places in Europe, so that we could read our favorite books, so that we could listen to music. "I couldn't deal with 9/11 the other day. I couldn't bear it. ... That evening of 9/11, they conducted Mahler's 2nd Symphony. ... And I sat there and cried like a baby listening to the music." "Finding out that I was gay when I was older was a shock and a disappointment. ... I did not want to be gay. It meant a whole different thing to me — which is really hard to recover now because that's many years ago. I always objected to it because there is a part of me that is solid Brooklyn and solid conventional and I know that. I can't escape that. It's my genetic makeup. It's who I am."